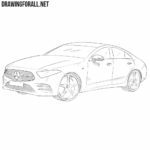 Despite the fact that our site is already full of drawing lessons about cars, our readers continue to fill us with requests to even more often draw different cars. And we certainly can not deny you this. 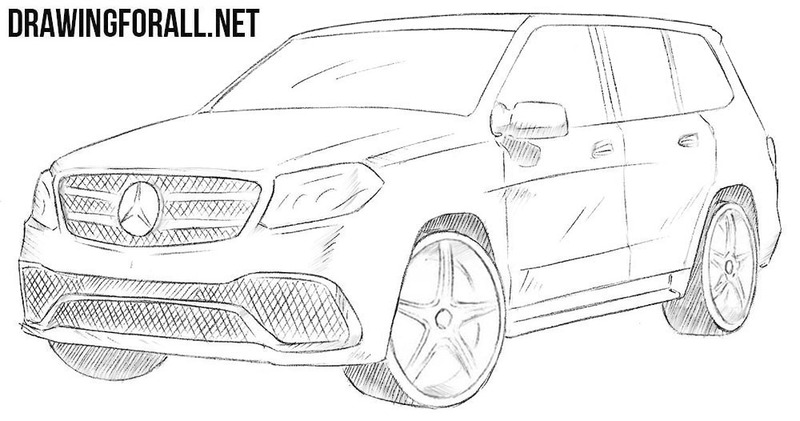 So, meet the lesson on how to draw a Mercedes-Benz GLS. 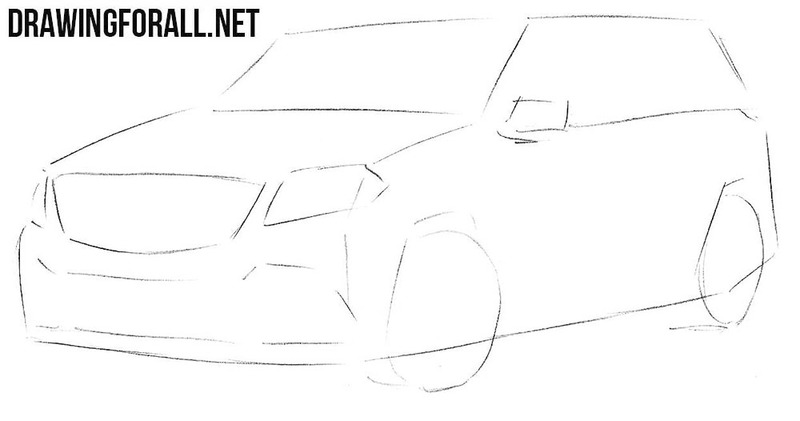 So, let’s start as usual with the main outlines of the car body. Sketch out them using very light, almost invisible lines, as in the future we will need to erase them. 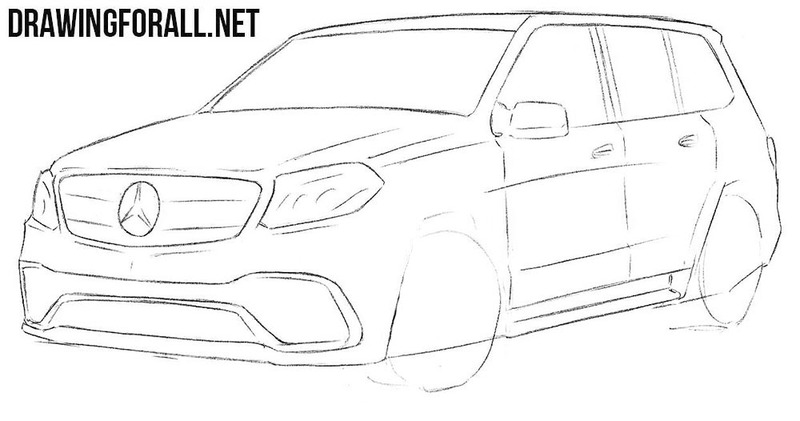 Note that the contours should be rather angular (but not as angular as in the Mercedes Gelandewagen lesson). 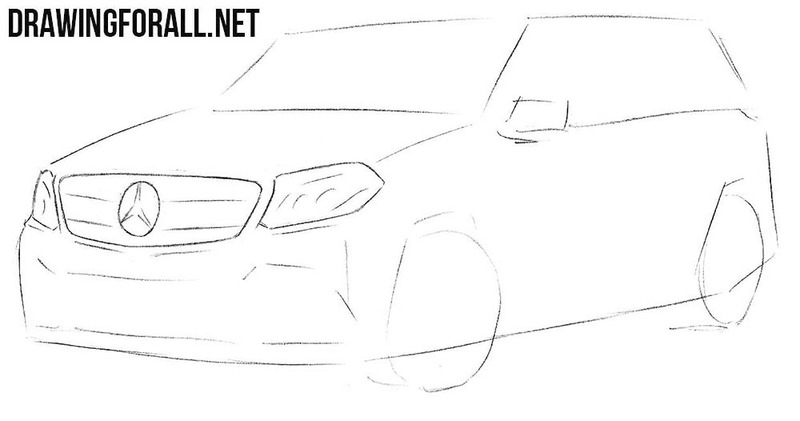 Now we add the basic details to our Mercedes-Benz drawing. 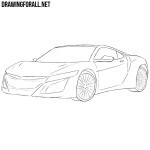 In the front part, we outline the angular shapes of the headlights and the radiator grille. 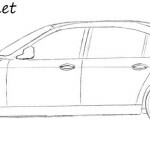 In the lateral part we will draw the outlines of wheels, wheel arches and rear-view mirror. Now, from the basic details we move on to the final detailing. We’ll start from the front and move backwards. 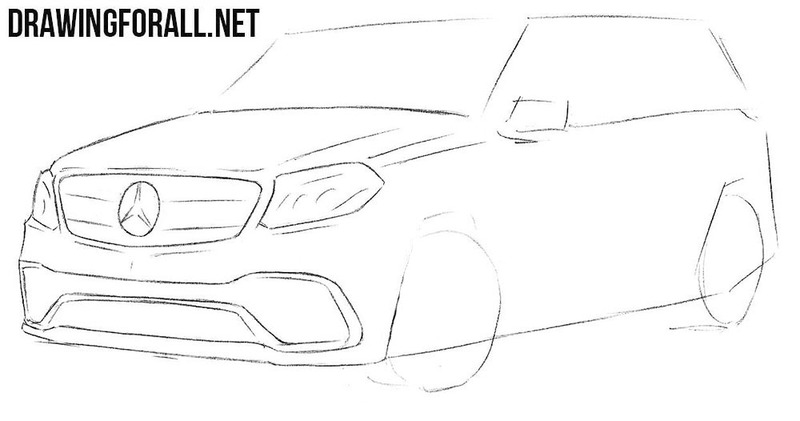 Thus, we draw out the headlights and grille using clear and dark lines. In the center of the radiator grille we draw a large Mercedes logo. Continue to work with the front of the car. Draw out the hood with fairly straight and clear lines. 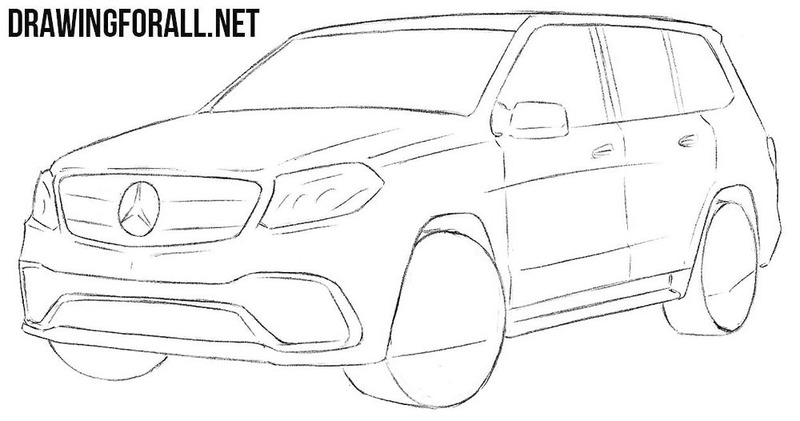 Further move slightly below and draw out the details of the bumper of our Mercedes-Benz GLS. Do not forget to erase unnecessary lines from the front of the car. Now it’s time to work with the details of the roof. Here we will need to draw it with the help of the same clear and straight lines. 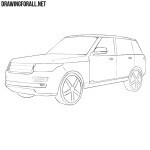 In the same step, draw out the outlines of windows and rear-view mirror. Continuing the lines of windows draw out the outlines of the doors. 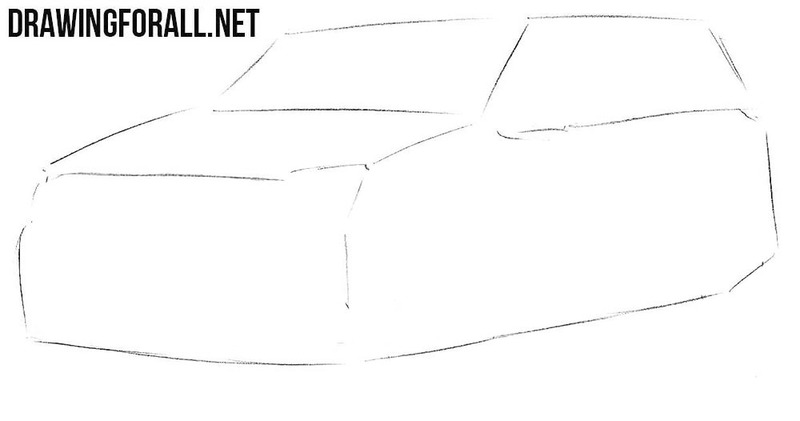 Draw door handles, thresholds and the bottom edge of the body of the car. Do not forget to draw out the lines on the side of the body. Now it’s quite a difficult step, over which you will have to work a little. Here we will need to draw out the wheels, and the difficulty is that the wheels must be very rounded and smooth. Now an equally difficult step – here we will need to draw out the rims. 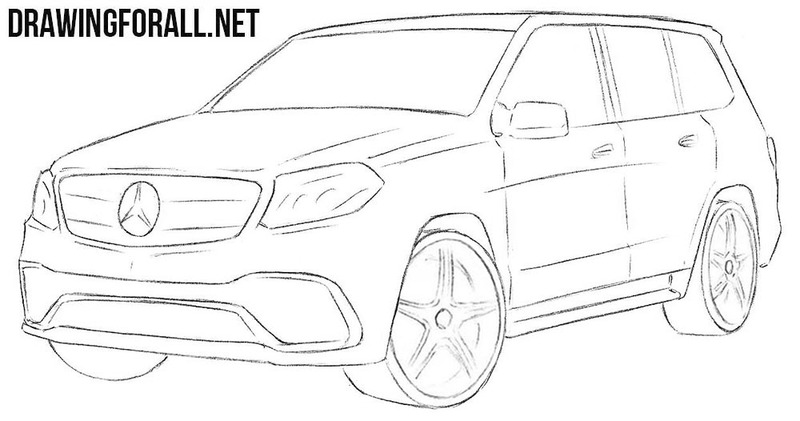 Please note that we have drawn a fairly typical form of a Mercedes rims. But of course, you can draw rims of absolutely any design. 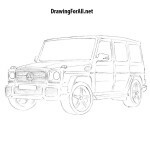 The lesson about how to draw a Mercedes-Benz GLS is almost complete and we only need to add some shadows. Add shadows using dense hatching, this will make your drawing more voluminous and beautiful. 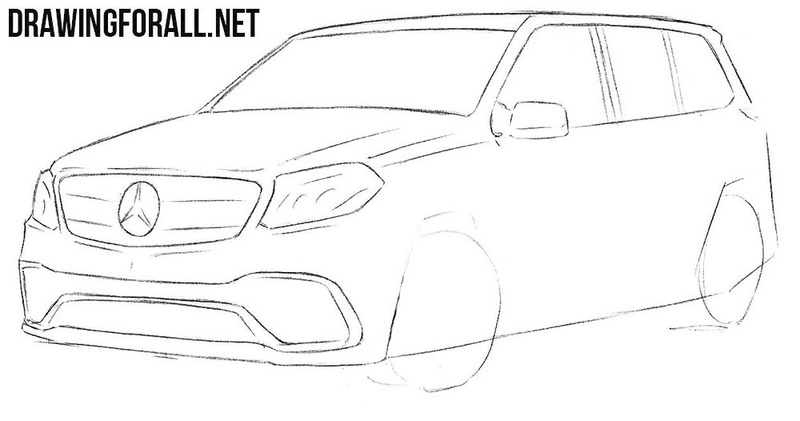 Also draw the texture of the grille using cross lines. By the way, do not forget that in the “Cars” category you will find a huge number of different cars. And if you did not find what you were looking for, write to us about it. Also if you have any suggestions or wishes, be free to write this in the comments to this article. We are also waiting for you on the pages of our social networks.